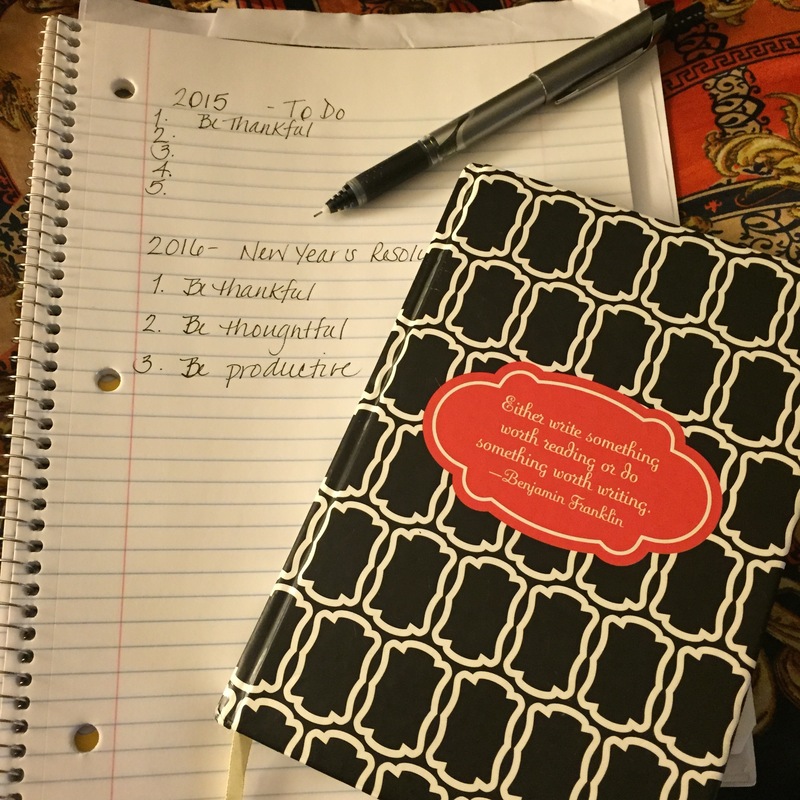 With just a little over a week since Thanksgiving, and the holiday season in full swing, I found myself looking to make a list of things to round out the experiences of this year, and to put together the resolutions for next year. It’s the same list I make for every milestone birthday, and this year, it turned out to be one of the most challenging personal projects I have ever undertaken. It’s natural to see the end of the year coming and to take stock of your life, and to want more. Physical accomplishments are important, but my heart is set on personal growth. This year, I’m reflecting on who I am, who I think I am, and who I want to truly be in the coming year. I never waste time on what other people think of me, because as the adage says, that’s their business, not mine. So often, great reflection is accompanied by deep longing. Searching for experiences to round out my year left me wondering so much about what was missing in my life; yet I was having a hard time coming up with things to ‘accomplish.’ So in the spirit of Thanksgiving, I am reminded of the amazing things that I’ve already done. I realize that the most important things that my heart needs to accomplish live in a swirl of experiences that no list can compare to; and by far, I’ve seen so much. I’ve stood at the top and bottom of the Eiffel Tower in Paris, and the World Trade Center in New York City at a time when the greatest worry was if I was afraid of heights. I’ve shaken the hands of Presidents, was left at a loss for words when I met a civil rights hero (right? me lost for words), and spoken with a Nobel Laureate. I’ve stood on the floor of the U.S. Senate, the greatest deliberative body in the world, at the desk of a late President and his brother. I’ve loved and lost, and loved again, and had my heart broken; and woken up and gotten out of bed the next day. I found the guy of my childhood dreams, and learned that his dreams were different, and there wouldn’t be a happy ending; and I lived through it. I’ve finally learned why they say that youth is wasted on the young; and in the most profound moment of my existence, so far, I’ve held a newborn human being in my arms (not mine), and truly understood that it is possible to love someone else more than myself – and know that I would lay my life down for the love of that person. Maybe, the end of year list that’s difficult to come up with forces us to acknowledge that accomplishments shouldn’t be listed off, and completed in short spaces of time. They must be lived, and earned day by day. I suspect that the most amazing, thoughtful, and productive resolution you can come up with is to make peace with your heart, for the things you’ve lost, never found, and never will. Maybe if you can do that, the only future resolution you ever need to make, is to be thankful for what you have, thoughtful about what lies ahead, and productive in the endeavors of the moment. You’ve done some amazing things. Enjoy the ride.